Kettle Moraine 100 Pacer Report! I didn't think he would really want me to go with him. 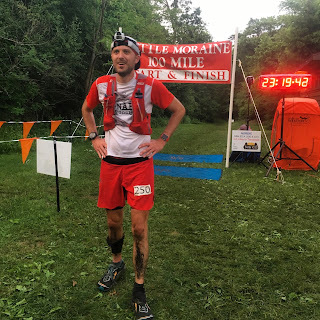 When he'd first mentioned running the Kettle Moraine 100, barely more than a week earlier, he'd said his parents were planning on coming up. I'd told him that if his parents didn't mind watching Will all night, I could pace him. Runners would loop back through the start/finish area (where we'd be parked in the van) after around 62 miles, and they were allowed to pick up a pacer before heading out again for the last 38 mile out-and-back. I could leave with him at mile 62, or I could run down the road for about a mile and a half and pick him up at a trailhead he'd pass by at mile 70. Or when he passed that same trailhead again on his way back at mile 93. "Interesting," had been his reply. I saw his eyes considering these possibilities, but ultimately he'd said that he didn't think he'd need a pacer. He'd decided to run the race on the assumption that he'd be running it alone, but since I'd offered and it would seem to work out, he didn't completely discount the possibility. "Let's say it's not Plan A," he said. If everything was going according to plan, he didn't think he'd need me. How often does everything go according to plan when you're running a hundred miler? We took off for the midwest, and when we arrived in Illinois, we ran together a few times on trails near my parents' home. I'd forgotten what midwestern trails were like. Rooty and muddy with constant little 100 foot climbs and descents. The soft ground felt delicious under my feet, so unlike the rocks and slippery sand I've gotten used to in the foothills of the Rocky Mountains. Maybe if I'd never left the midwest, I'd have been a halfway decent trail runner. Even so, as I ran with him, I realized there was no way I'd ever be able to pace him in a hundred miler. I would never be able to keep up. He so much of a stronger runner than me that even at the tail end of a hundred miles, he would still undoubtedly be moving faster than me on the trail. If I were to go with him in the race, it would only be in the case of a dire emergency, such as, he'd have to be walking it in for the last 38 miles. The night before the race I think I slept all of three hours, and he didn't sleep much more than that. It wasn't too long after the start of the race that thunderstorms began. This was real, midwestern rain, the kind that dumps buckets of water on you for hours at a time. We don't get this in the foothills. I kept my eye on the lightning, wondering how close it would have to be before they called the race. My in-laws came to the park and we drove to the Scuppernog trailhead, where we saw Rob for the first time at mile 31, 5 hours into the race. The rain was slowing down. He looked strong and had me refill his bottles while he ate pickles. We got to see him there again about 6 miles later. The rain finally stopped for good, but the afternoon consisted of running through shin deep mud in oppressive heat and humidity. We saw him for the final time at mile 47. He had slowed a tiny bit. The wheels were still on, but I could tell that he was standing at the precipice of insanity. It was so unbearably hot. And humid. He had loved running in the rain. But these conditions--these were not Rob's time to shine. Crew chief Will hands Rob a tube sock of ice for his neck. 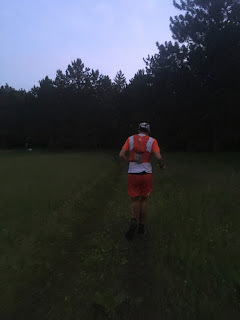 He had initially predicted that if all was going well, he would make it back to the start/finish area (mile 62, where we were parked) around 6 or 6:30pm. Based on how he'd looked at mile 47, I didn't expect him until more like 7 or 8. I hoped he would just take it easy in the heat and wait for the cool of the evening to come. At first I made no plans to get ready. After all, my pacing him was not Plan A. If he did come through at 6pm, then that would mean things were going well and he didn't need me. Only if he was delayed by several hours would it become more likely that he'd want me to step in. But by about 5, I decided that the responsible thing to do was to be ready for anything. I loaded my pack with everything I could possibly need for a long night of running, and I ate a few bites of questionable vegan pizza that had been in the van fridge now for several days. Yuck, that was a bad idea. My in-laws watched Will while I lay down for about 20 or 30 minutes for a power nap. I knew there was no way I could run the whole night on only 3 hours of sleep. I had only just gotten up when I heard my father-in-law say, "Here he comes!" No way. It was nearly exactly 6pm. He looked wrecked. He got fresh clothes out of his drop bag and came into the van to change, spewing mud everywhere. I could tell he was in a great deal of pain. It didn't seem like he was firing on all cylinders. "Do you want me to come with you?" I asked, as we struggled with the gaiters on his mud soaked shoes. "I don't know. What do you want to do?" "I don't care. I can do whatever. I'm ready to go with you now, or I can meet you at mile 70, or at mile 93." He winced in pain as he tried to lift his foot off the ground. "Yeah," he said. "Okay. Come with me. If you want." I sprang into action. I had not expected this. I had thought the most likely scenario would be that he declined, no matter what state he was in. The second most likely scenario would be him saying I could maybe meet up with him at mile 70, if I wanted. I knew he was disoriented and in pain, but things must be worse than I thought. I ran out of the van to tell my in laws I was going with him and to make a final check that everything was in order to leave Will with them overnight. I hugged Will. 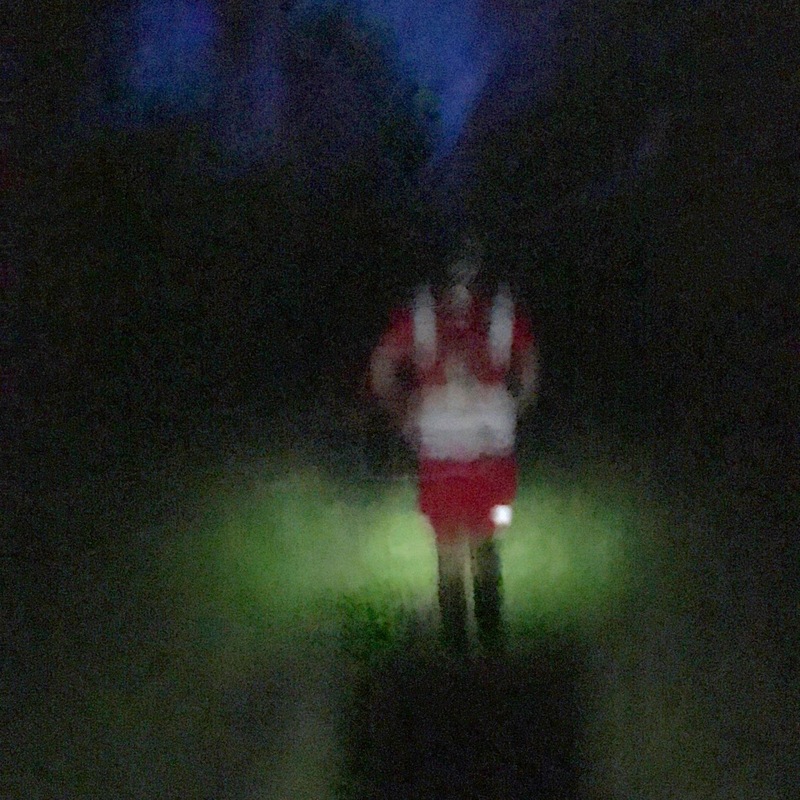 I made sure I had my headlamp and spare batteries in my pack, along with plenty of water, electrolytes and food. Did I have enough caffeinated Run Gum to get me through the night? No time to get any more. Rob was ready to go. As we passed through the aid station on our way out, a group of volunteers and spectators cheered. "Hundred mile runner, heading out!" the race director called as more cheers ensued. "You're the pacer?" he asked. "I'm the pacer," I said, much like Bohdi repeated I'm the pilot in Rogue One. The RD gave me two thumbs up. "Go get 'em," he called, or something similar to that. I felt like a celebrity amidst the cheers as we left the aid station and headed back out onto the single track. The trail was smooth and seemed flat but maybe was slightly uphill. Rob walked. We moved quickly, but I could tell he was in a lot of pain by the way he put his hands on his hip flexors and limped every time there was a slight incline. His feet barely left the ground. The roots became doubly dangerous for him at a shuffle. I knew we were in for a long night. I also knew that we would not mention the pain. I would not ask him how he was doing, I would not speak of his hip flexors or raw, blistered feet. We would be like Gary Robbins and Jared Campbell during the 2016 Barkley. We had a job to do, and we would get it done. There was no room to give pain any power. Rob began running again, moving at a decent clip. The hip flexors begged to be acknowledged, but we ignored them. I thought, if the entire trail is like this--mostly smooth and flat--it will be a breeze. "This is the only part of the course where the trail is like this," Rob said to me, even though I hadn't asked. "Oh." I wondered what the rest was like, then. After the first tidbit, we got to a roller coaster section of constant short, steep up-and-downs. I could tell by his labored steps that Rob's hip flexor did not like this. 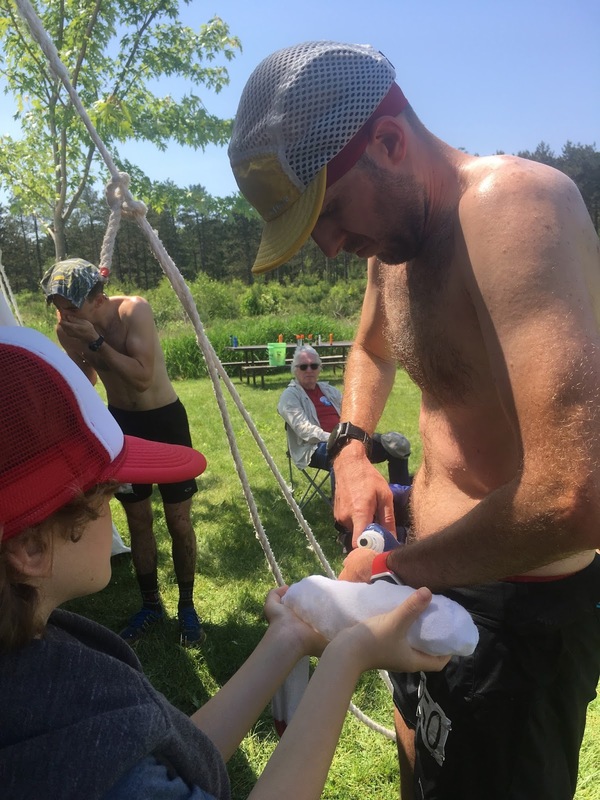 We buzzed through a couple of aid stations, pausing only to get Rob what he needed (pickles, banana, water) and then moving on. "We're not even to the Ice Age trail yet," he mentioned at one point, which was the closest he ever came to a complaint. "We'll be there soon," I said, even though I had no idea where it was. Sure enough, we reached a point that runners called "Confusion Corner" and it was around there that we turned onto the Ice Age trail. Narrow, rocky, rooty, single track. Gone were the smooth roller coasters of the first section. This was legitimate gnarl. But it was Wisconsin gnarl, so if you fell, you weren't going to go tumbling off the mountain. And in spite of the ankle-busting roots that littered the trail, the soft-packed midwestern mud made the descents far easier for me than the slick, sandy trails I run at home. Darkness was quickly approaching by this point, and we flicked on our headlamps. Things got significantly more difficult for me as we lost daylight. The trail was harder to see. I was glad that Rob was stopping to walk so much, because if he'd been on top of his game, there is no way I'd have been able to keep up with him. I had some moments of concern during this section. We were still fairly early into the night, but the run no longer felt easy for me. I mean, my legs were fine, it was just harder for me to move on the rugged terrain in the dark. I had this underlying paranoia that Rob was going so slowly just so I could keep up with him. I began to wonder who was pacing whom. I had to remember that it was me pacing Rob, and I was the one who had to be strong and alert, no matter what. I realized this might be the only time in my life I could do something like this. 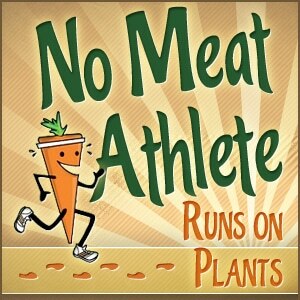 If he ever ran a rugged mountain hundred, he would be way too fast for me. And if he ever ran a more gentle hundred, like this one, chances were that he'd be having a better day and still moving too quickly for me to be of any help. We finally got to another aid station about 14 miles out. It was lively and the volunteers were enthusiastic. "Can I fill your pack for you?" A volunteer reached to help. "I'm the pacer," I said, Bohdi-like. "We help pacers too!" She smiled as she took my reservoir to fill it with water. I went to the food table and engulfed some chips and guacamole. I hadn't been taking care of myself very well on this run-- not even pausing to refill my soft-flasks with water and Nuun. 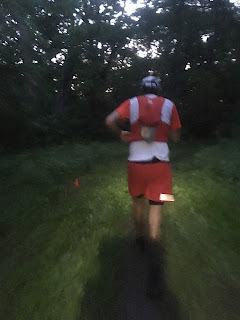 I'd been focusing on Rob at each aid station, but I knew it wasn't sustainable if I let myself get into deficit. Meanwhile, Rob sat down for the first time since we'd set out. His face was gray. He looked completely wrecked. I didn't acknowledge it. I got him some chips, banana, and pickles. He picked up his better headlamp and some caffeinated Run Gum before we left. Just 4 more miles to the turn around point. Just 4 more miles and we'd be halfway through the last leg. Just 4 more miles... and we'd still have 18 more miles to go after that. It seemed daunting even to me, and I hadn't been running since 6am. 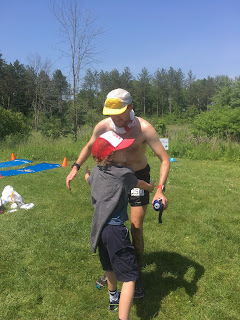 I think few people on this earth can understand what it took for Rob to stand up from the chair and walk out of the aid station. "I'm cold," he said as we began hiking up a steep hill. This was bad, very bad. It was hot out. We extracted his jacket from his pack and he put it on as we continued to walk. Climb up the hill, step over roots. The race, in addition to being a hundred miler, was also a hundred mile relay, a 100K, a 50K and a 38 mile fun run. There were a lot of people out on the course. And a lot of them were significantly fresher than someone who had already been running all day. I started to get annoyed with the traffic at this point. But I was the pacer, and I had to stay strong. I didn't say anything. This was the moment of the the race-- probably about 76 miles in for Rob-- that I could tell there was a real, significant possibility that the wheels were going to fall off. He felt terrible. He was exhausted. Thunder and lightning threatened again in the distance. He wasn't even remotely close to the point at which I thought me might need to drop-- there was nothing severe going on with him, and he was still moving forward. But I was pretty sure that we'd be walking it in from here on out. "Are you chewing the Run Gum yet?" I asked. "No," he said, and fished for it in his pack. I took some of mine at the same time. A few minutes later, we were running again. We hit the turn around point and made our way back, reversing the direction we had just come. It had taken us 5 and a half hours to go 18 miles. It would take us at least that same amount to head back, and probably significantly more. It must have been around midnight when we hit the turnaround point. Initially I had thought that if everything was going according to plan and there were no significant difficulties, Rob might finish the race around 2am. This was no longer Plan A. The good news was that we had plenty of time left on the clock-- 12 hours until the race officially closed. We could walk every step of the way, even stop for a nap, and still make that. But we had only 6 hours left for a sub-24 hour finish. I wouldn't let myself think about it that much, because if I did, I would be able to see it quickly slipping out of our grasp. I hoped that Rob wasn't doing the math, because knowing what the odds were at this point might be the straw that broke him. We walked. We got out of the way for the throngs of other runners we met. We didn't complain, we didn't talk. Relentless forward progress. I was starting to feel pretty bad, so I managed to get down a ginger pill and salt tab. I was just hoping to make it back to that aid station where I'd gotten guacamole on the way out. My water was low again, and I was feeling seriously depleted. Rob didn't sit down this time when we got there. He took some pickles and banana, while I threw down 2 cups of coke as quickly as I could and we headed out again. We weren't moving fast, but we didn't waste any time. I could tell he was trying to force himself to rally. We'd been walking for a long time, but whenever we hit something that wasn't a rocky uphill, he would run, even if it was just for a few steps. On one of the gentler downhills, he ran the whole thing. "You did so great on that!" I said, hoping it wasn't annoying. I reminded myself of Fezzik, from The Princess Bride, when he congratulated Westley for wriggling his finger after he'd been mostly dead. Rob was able to run more and more. In fact, on the rugged descents, I was no longer keeping up. He would go on ahead, but I would catch him as soon as we hit an uphill again. He was coming back to life. I began to wonder if he would drop me-- certainly a very real possibility if he got a genuine second wind. I looked at my watch-- 3am. If I could just manage to keep him in my sight until we got to Confusion Corner again and I got onto the right trail to make it to the finish line, I think I'd be fine on my own. Anyway, less than 2 hours until it would be light enough that I could turn off my headlamp. We got to the Bluff aid station and I didn't believe it. According to my watch, we still had over almost 10 miles to go, but the map showed Bluff 7.6 miles from the finish. I asked a volunteer, and she told me, yes, this is Bluff. We only had 7.6 more miles. We had been barely hanging on to the edges of 24 hour pace-- going by my assumption that my GPS was correct. But it must have been off a bit, what with all the trees. Now all of a sudden, 24 hours seemed a lot more likely. I checked the time. I can't remember exactly what my watch said, but I think we had around 2 and a half hours to go 7.6 miles. Hang on, just hang on. Rob was on the edge, and so was I. Nausea was taking hold, and I hadn't eaten in a while. I got a salt pill out of my pocket and tried to swallow it, but it came right back up on the trail, along with some of the aid station coke I'd just drunk. This was no good. I needed something to get rid of the nausea, but there was no way I would be able to swallow a ginger pill. I opened my last ginger capsule and poured the raw powder onto my tongue, then flushed it down with water. The burning in my mouth gave me something to think about besides the nausea for a while. 45 minutes later, we made it to the aid station that was just 5 miles out. It was almost light enough to turn off our headlamps. I guzzled more coke as we ran right on through the aid station. The volunteers cheered maniacally. "Sub 24!!" The shouted. We had an hour and 40 minutes to do it. "Rob, do you think you can do 20 minute miles?" I asked. The last few miles had been close to 15 minute pace, which was quicker than we'd gone in quite some time. Rob's GPS had died a while ago, and I didn't know if he knew how close we were. I didn't know if knowing that would make it better or worse. We had reached the point of the ultra where he occasionally groaned incoherently. "Roller coaster section coming up," he said. "That won't be as hard as what you've already done," I assured. He seemed to dread the hills, even the downhills hurt now. But I didn't think the roller coaster would be as bad. Those hills were larger, but they were smooth. And it was the gnarl that was slowing him down because he was struggling so much to pick up his feet. He seemed to be steeling himself for the roller coaster, preparing himself for the worst. And then he smelled the barn. The sky was indigo and lavender. We clicked off the headlamps, and he took off at a run. He never slowed down. He ran the uphills. We were banking time instead of losing it. Three people passed us in the last two miles, but I think it was only one runner with his two pacers. Rob went with them, and I gave it everything I had to just barely keep up. My GPS clocked us at 8:20 pace uphill-- this was a massive recovery for someone who'd pulled a couple of 30 minute mile just a few hours ago. At last, the finish was in sight. Rob reached out for my hand and said he wanted to cross the line together. Thanks to my in-laws for watching Will and making all of this possible. Thanks for reading.